Note:This product iswithout original box, if you want the original box package, price will be different, the details pls kindly contact our service. Thank you! When you using, kindly send command #noat#123456# to make Autotrack option OFF,or else this function is on by default, and will have balance consumption. 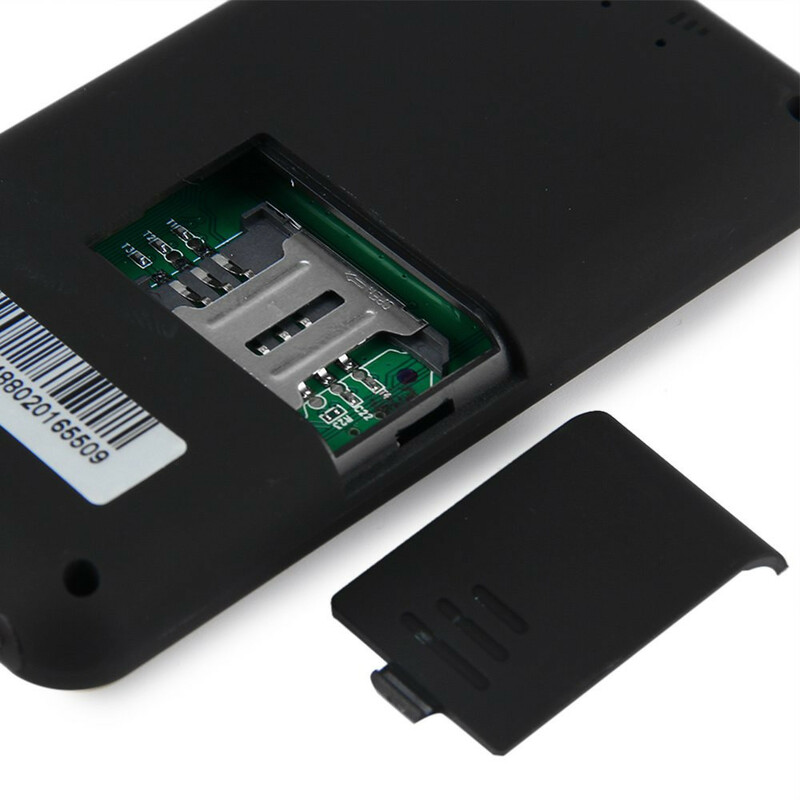 2) The other is a charging platform : stable and can be used all the time, charge is $2.0 per unit. 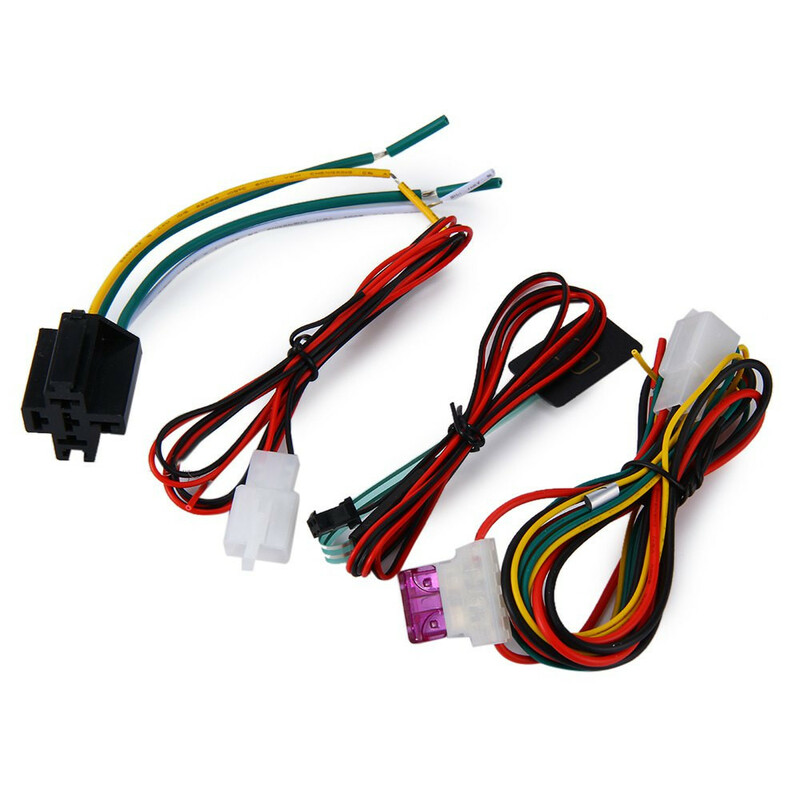 name is 2288 platform, kindly contact us service when you need it. - The IMEI NO. is the only NO. of the world, can not change. - Only can use 2G SIM card, not available for 3G or 4G SIM card. - These countries can not use this product: Japan, Korea, North Korea. And if your country has no 2G SIM card, also can not use this product. - Before you using the platform, pls must set the APN of your country and the IP and port of platfrom server by SMS command. 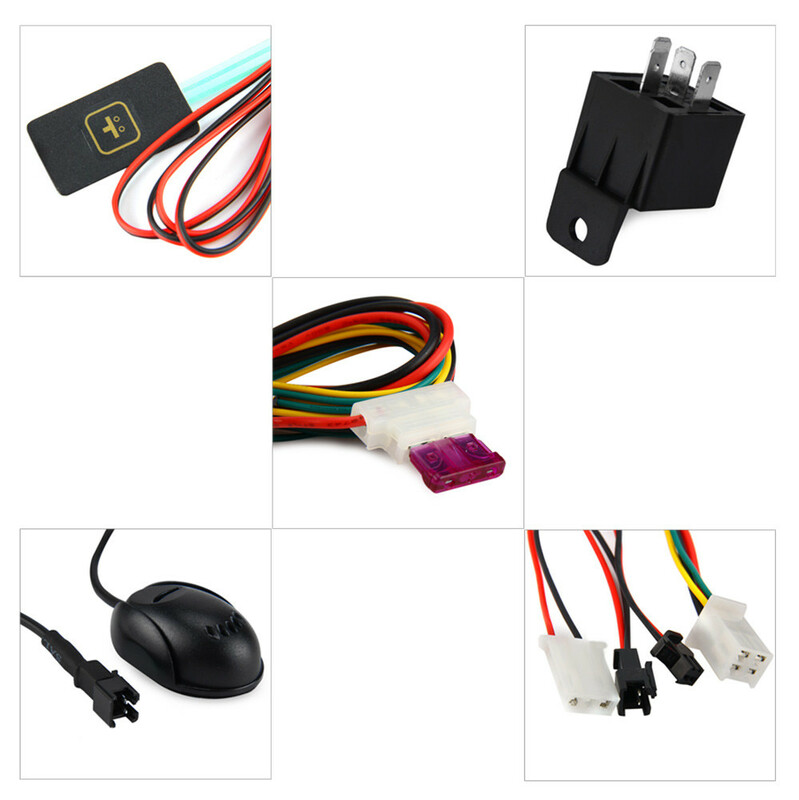 - Initialization, send SMS (#begin#123456#) to the unit, it replies OK, then you initialize all the settings to default factory settings. - Change password, make sure the new password is in 6 digits arabic numbers. 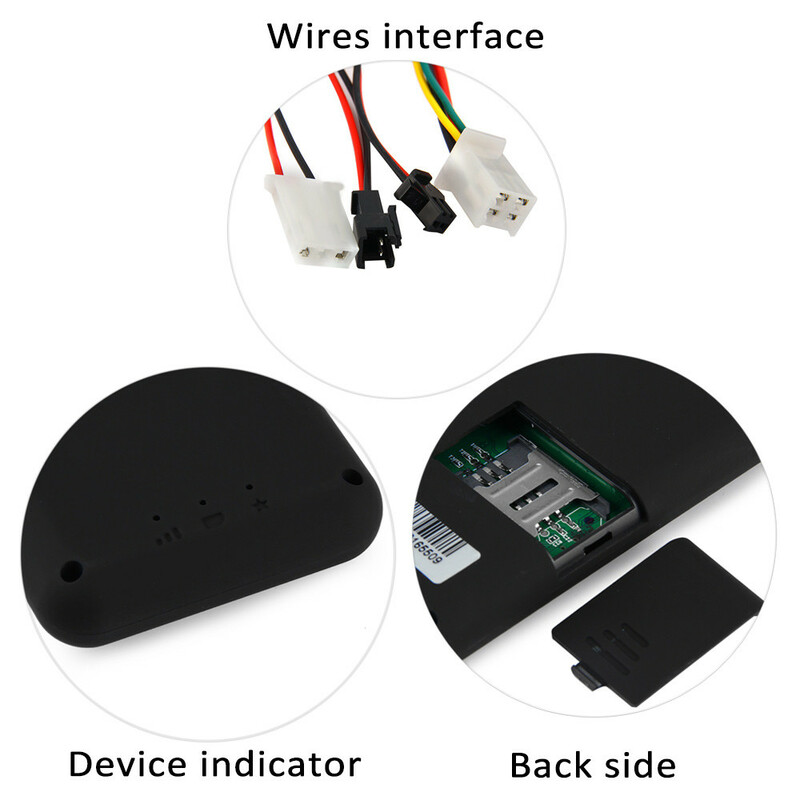 - Single locating, if there is no authorized number, any number dials up the device number, it will report tracking message. 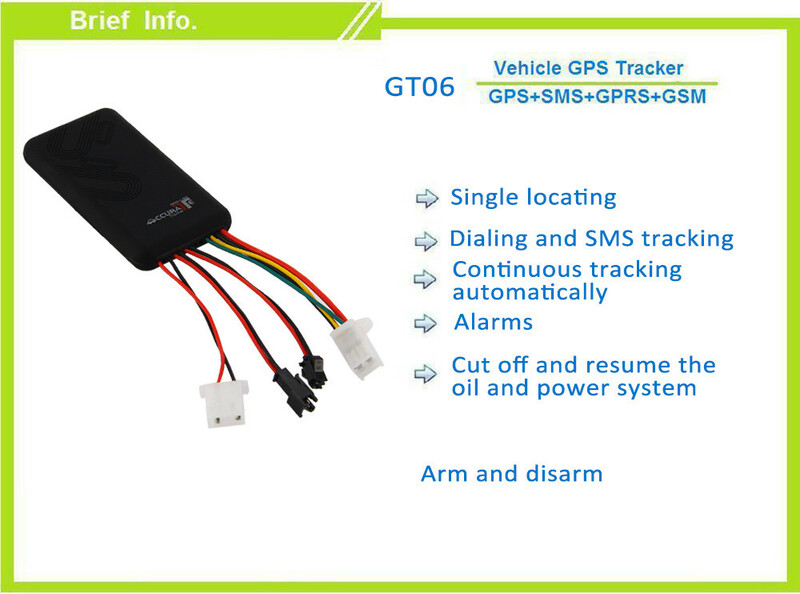 - Dialing and SMS tracking, make a call or send SMS to the device number, it will hang up and reply a real-time tracking message. 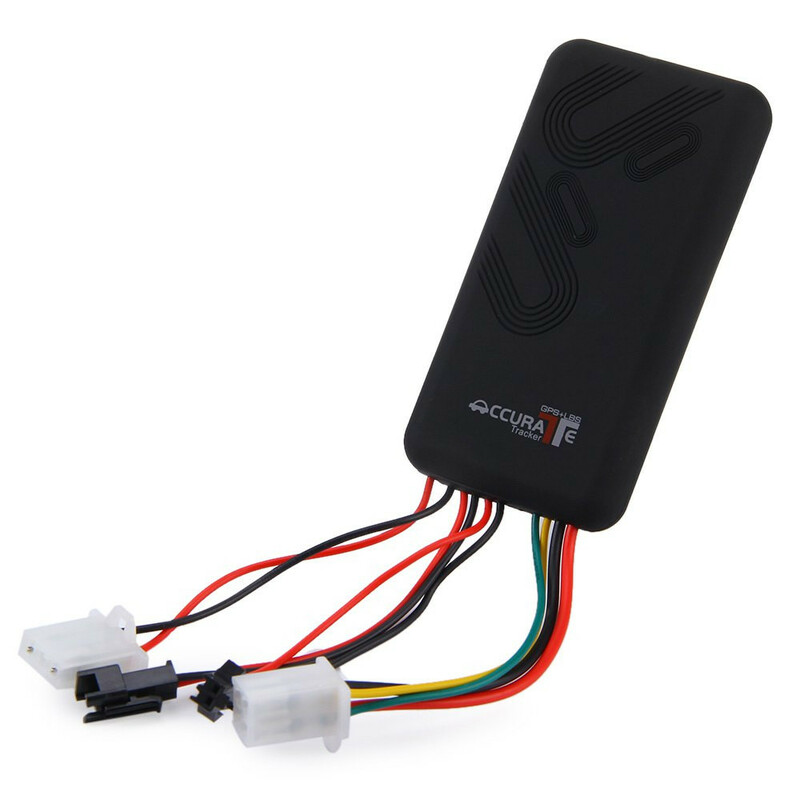 - It can cut off and resume the oil and power system of your vehicle by send specified format SMS to the device. - You can set up arm by the SMS and the remote controller, you can disarm through the same way too. 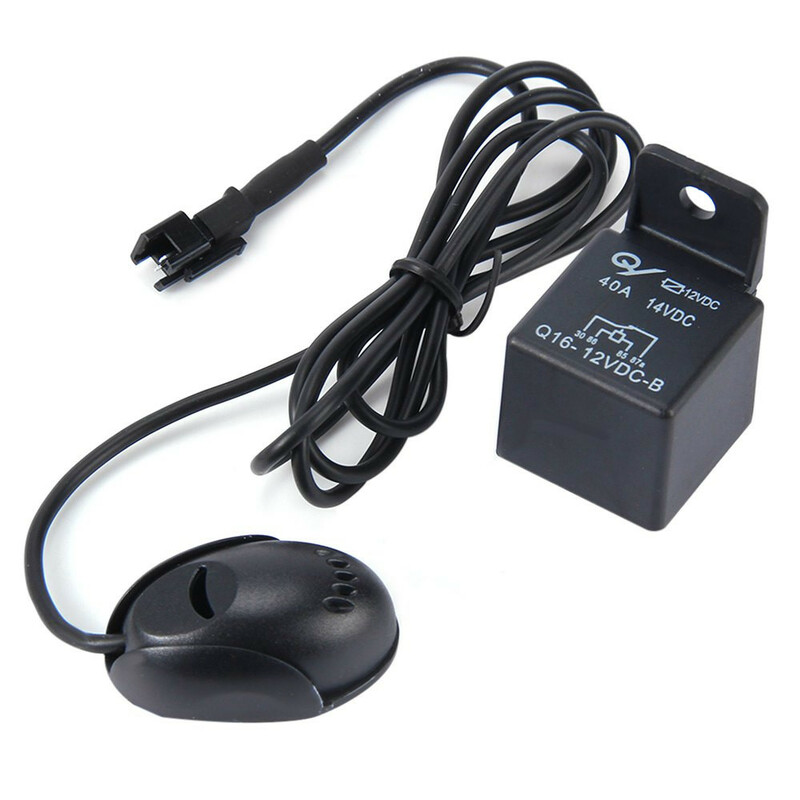 - It has 3 modes to switch, the tracker, the monitor listening, and the dial mode. 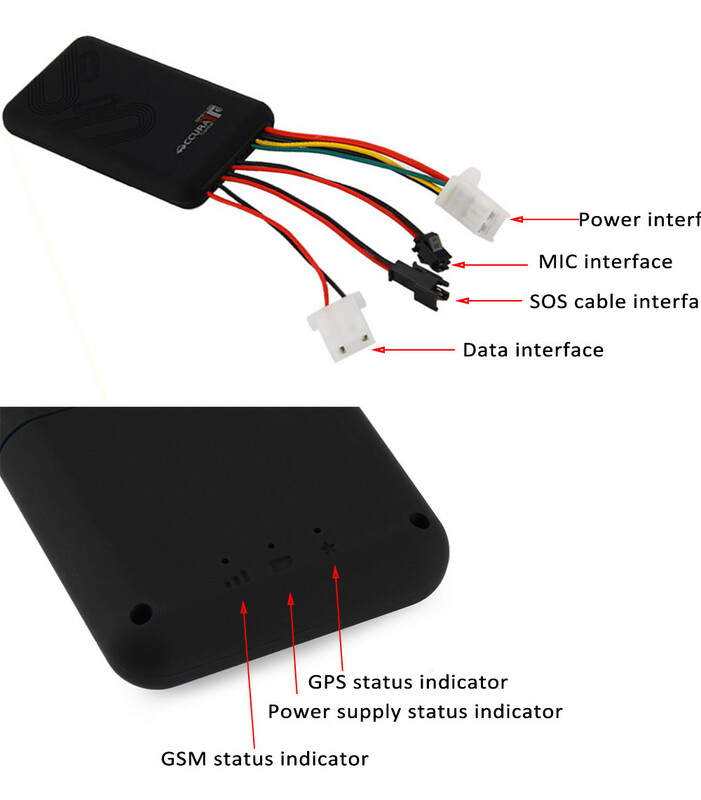 - With it, you can check the IMEI, and reset SMS, set time zone, GPRS, APN, IP and port, and reset the device. 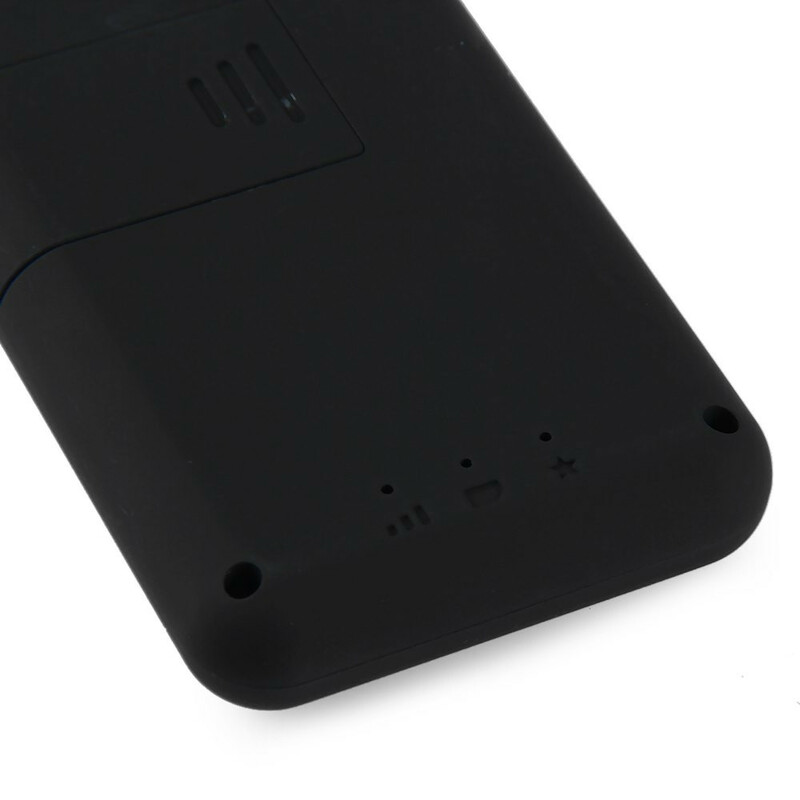 Battery Capacity: about 210mAh, standby time is about 50mins to 1hour. 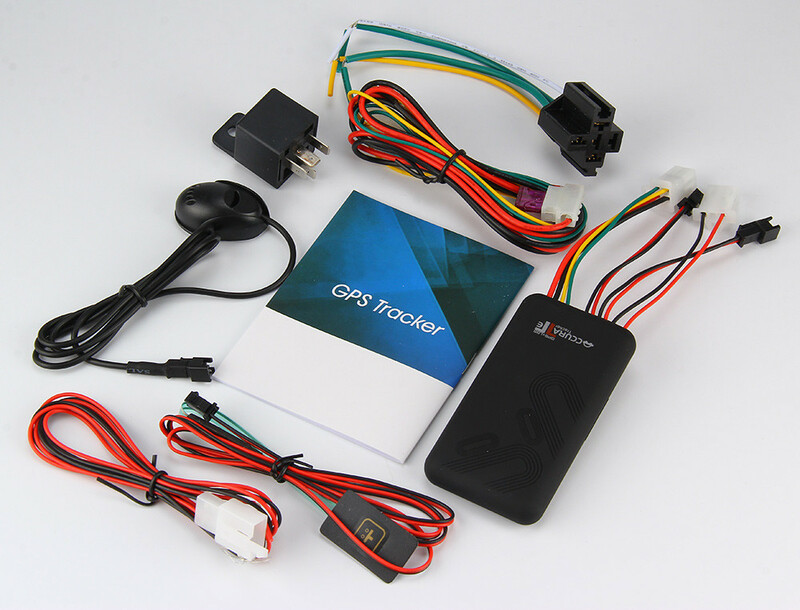 Package Contents: 1 x GT06 GPS SMS GPRS Vehicle Tracker Locator Remote Control Alarm, 1*power wire, 1*SOS wire, 1*siren wire, 1*microphone,1*relay,1 x Bilingual User Manual In English and Chinese, No original box.